The Mebo 12 is a new versatile nesting dinghy I designed and built last winter and spring. 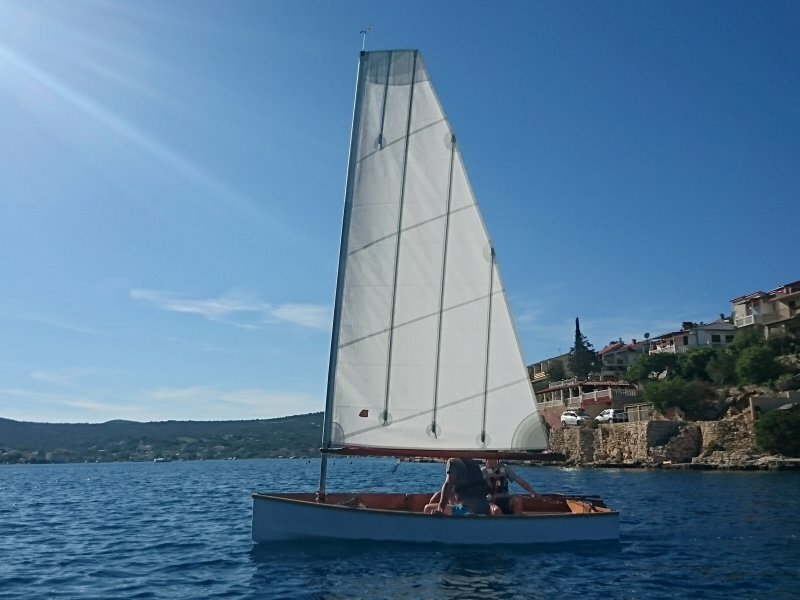 I wanted something looking nearly as stunning as the PT11 by PT Watercraft but little bigger and more stable and comfortable to use it as camp cruiser on a weekend trip as well as for day sailing. The wish list was quite long but at the end the boat offers all the features I was looking for. Moreover she is light enough for car topping and she is looking nearly as stunning as the PT11.